Tejano ownership of slaves was not uncommon, but Tejano attitudes toward slaves and slavery were complex. 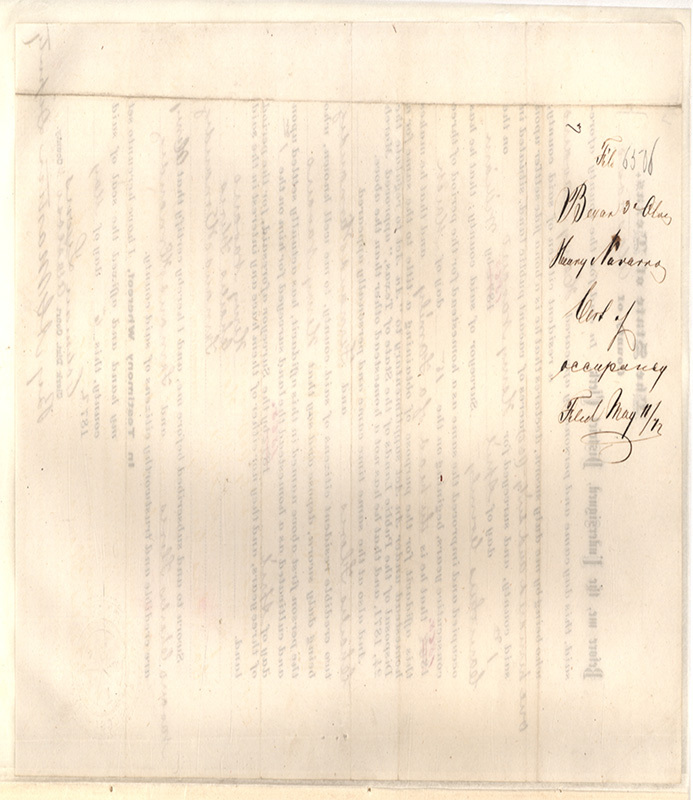 While José Antonio Navarro owned slaves, he and his family reflected the conflicting attitudes toward slavery in both Mexico and the United States as Texas became the state it is today. Mexico’s recent independence from Spain was based largely on the ideas of the enlightenment, which clashed with the practice of slavery. Both leaders of the movement for Mexican independence, Father Miguel Hidalgo and Agustin de Iturbide, made calls for social equality and an end to enslavement. Instead of slavery, Mexico’s economy in the 19th century relied heavily on a system of debt peonage in the forms of debt labor or indentured servitude. Angel Navarro, father of José Antonio Navarro, used this system to travel to New Spain from Corsica in 1762. 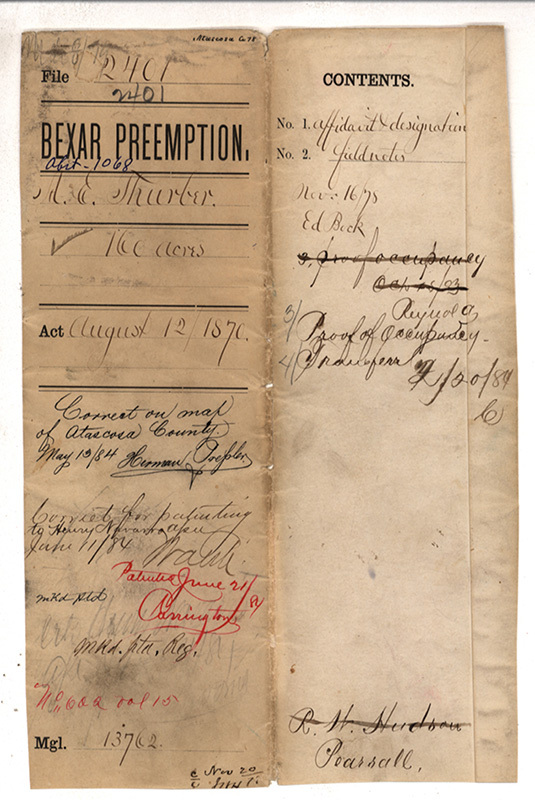 Before arriving in Bexar (San Antonio), Angel sought work with Don Juan Antonio Agustin in the mining district of Vallecillo. Eight years of work in the silver mines paid for his passage across the Atlantic Ocean. In 1777 Angel was freed and came to Bexar as a merchant, living with others from Corsica. By 1781, the elder Angel had purchased a lot and dwelling in Bexar and was elected to the city council. Most Tejano elites knew of the practice of slavery from the cotton markets of New Orleans. This led many of them to advocate for cotton production in the state of Coahuila y Tejas to lure wealth, people, and economic activity to the sparsely populated Mexican frontier. 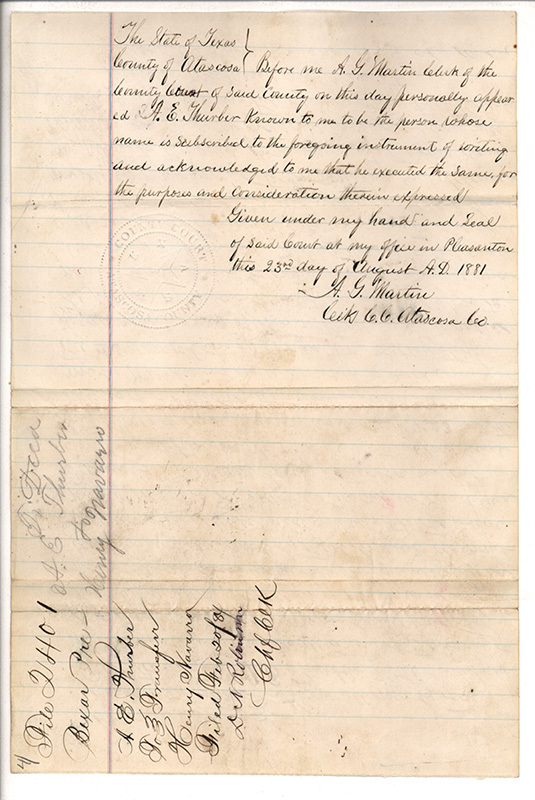 As a result, these Tejanos sought to protect the practice of slavery in Texas, upon which cotton farming relied heavily. It was not uncommon for families of this group to own slaves in the colonial period. Although the number of families holding slaves was small, it was a vital connection between Tejano elites and American cotton growers immigrating to Texas. José Antonio Navarro, as a legislator in the state of Coahuila y Tejas, introduced a bill that ensured foreign contracts be honored. 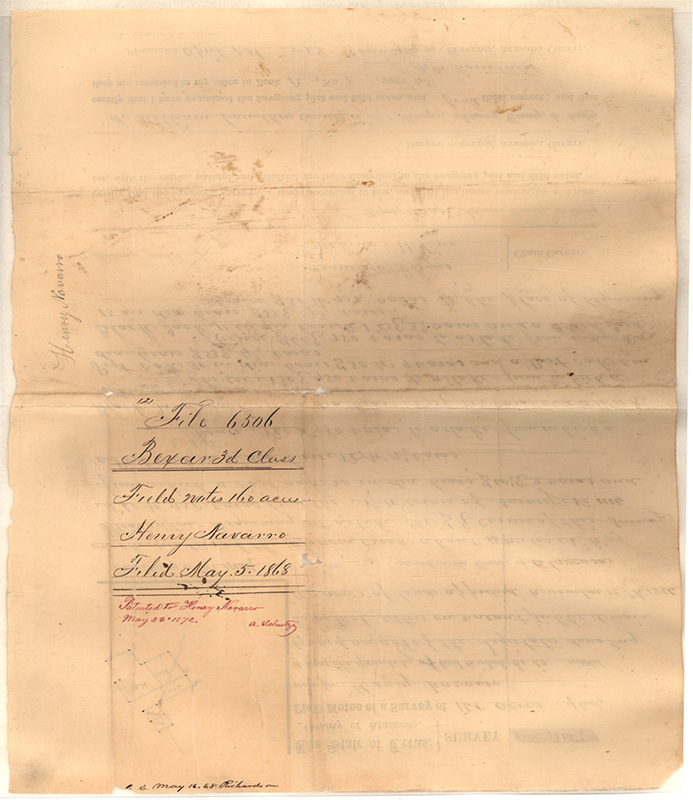 The bill, known as the Law of Contracts, allowed for slaves to enter Texas as indentured servants under contract of their former owners to whom they would repay their debt in labor. Texas independence from Mexico and the Constitution of the Republic of Texas guaranteed that slavery would continue in Texas from 1836 onward. Protections to slaveholders and the slave trade in the republic pushed the number of slaves in Texas to at least 30,000 by the time Texas became a state in 1845. Like other Tejanos, the Navarro family had a complex relationship with their slaves. 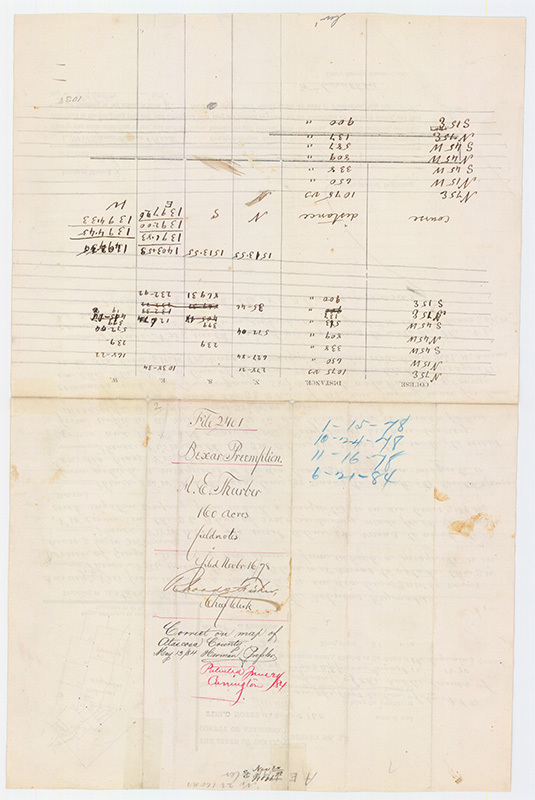 José Antonio Navarro’s tax records indicate that he owned six to nine slaves between 1856 and 1864. 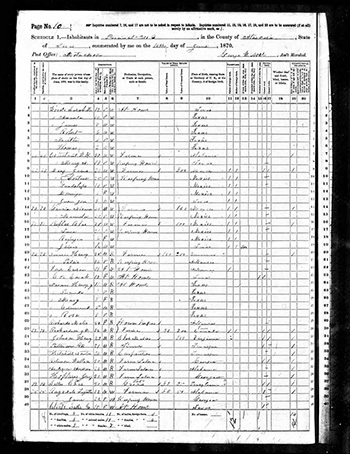 Census data shows Navarro owned one slave, a 12-year-old male, as early as 1850. 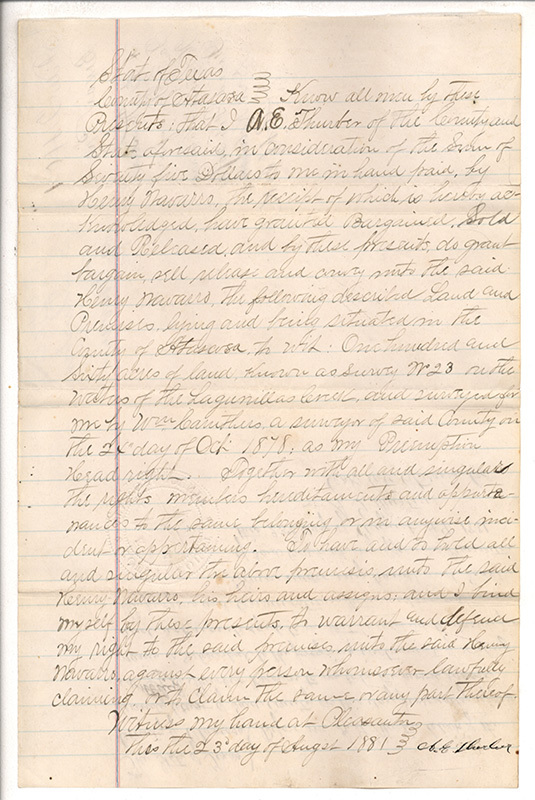 The young man, named Henry, lived and worked at Navarro’s San Geronimo Ranch, northeast of San Antonio, but little is known about the conditions in which he and Navarro’s other slaves worked and lived. The ranch’s operations did not rely entirely on slave labor since three laborers from Mexico and two of Navarro’s sons worked for him. 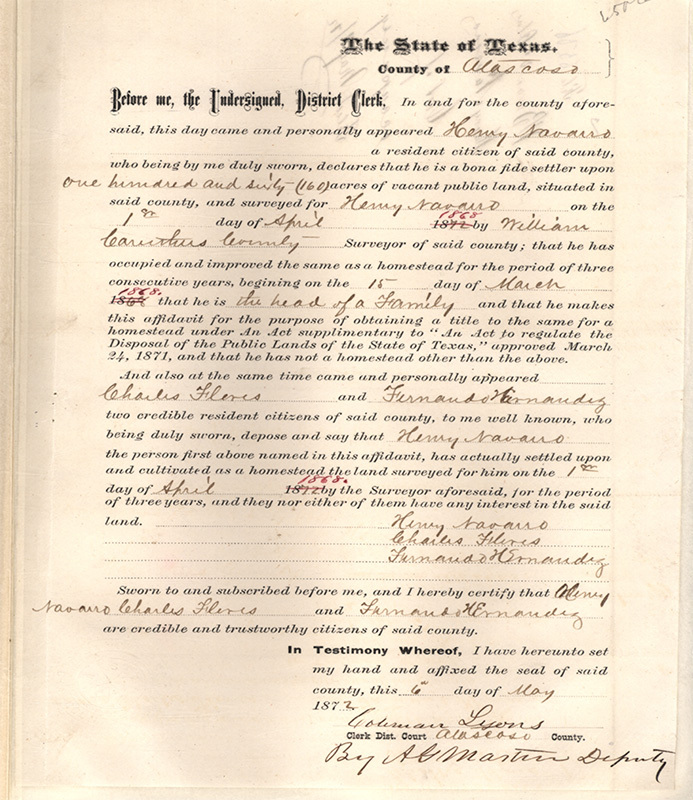 Patsy Navarro first appears in the 1860 Census Slave Schedule alongside Henry Navarro, and the two are listed in the 1870 census as spouses and heads of a household. 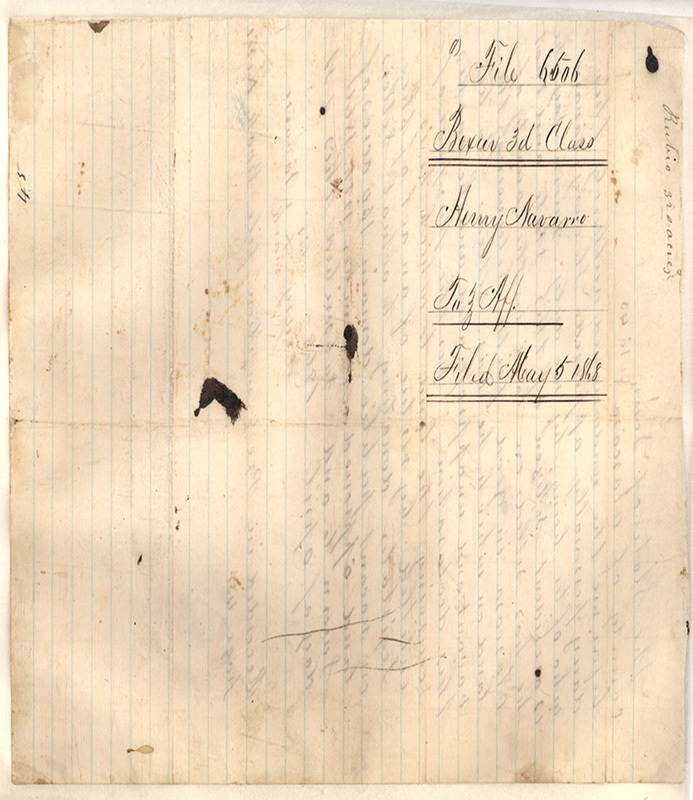 In 1856 Henry and Patsy Navarro’s daughters, Jesusa Patsy and Maria Patsy, were christened into the Catholic Church. Margarita de la Garza, Navarro’s wife, is listed as the girls’ godmother. 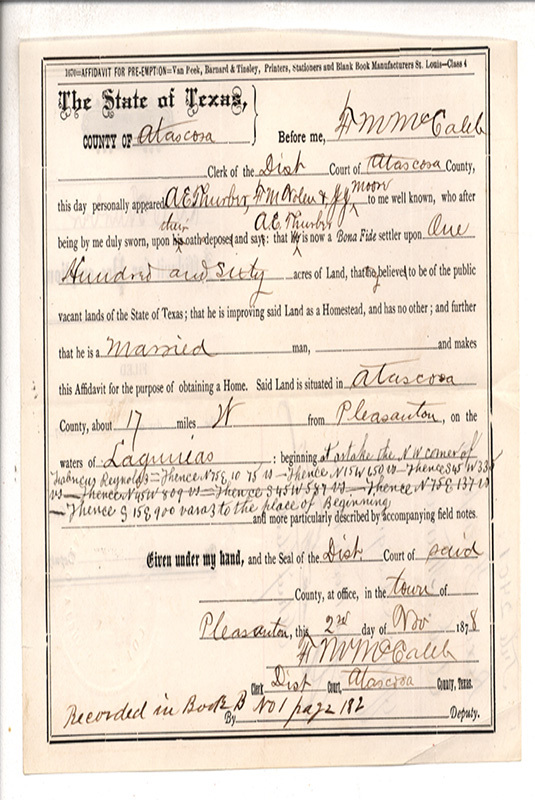 Four years later another daughter, Rosa Navarro, was christened. 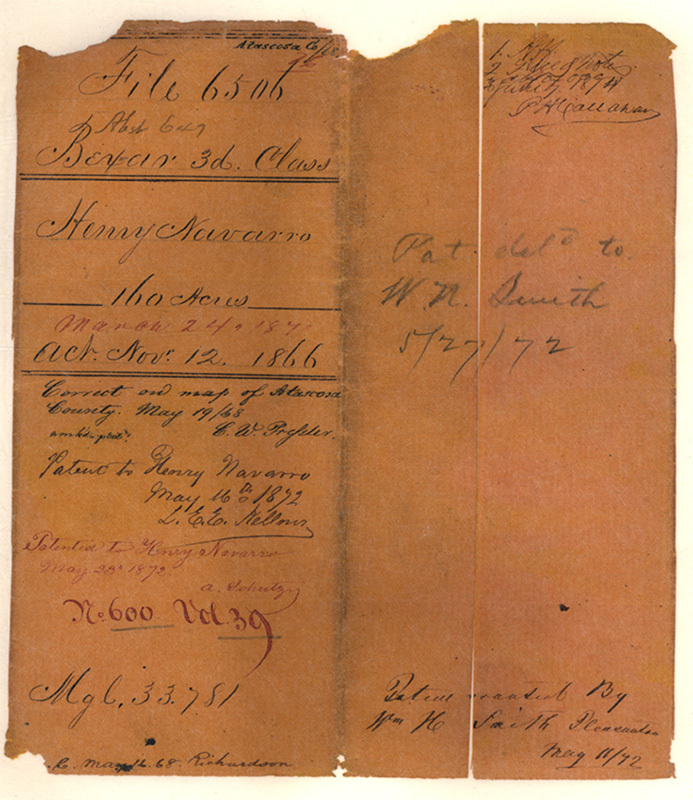 By 1860, Navarro’s ranching operations had moved primarily to his Atascosa County Ranch where six slaves lived and worked, including Henry Navarro, who was 22 at the time. Six others resided on the Navarro ranch—three women ages 21 through 30, and three children ages 1 through 7. Given the nature of ranching operations, it is likely Navarro’s slaves dedicated most of their time to basic farm tasks including raising livestock, planting, harvesting, and other household chores. The ranch produced corn, butter, and sweet potatoes and had 100 milk cows, 12 oxen, and 200 swine at the time. 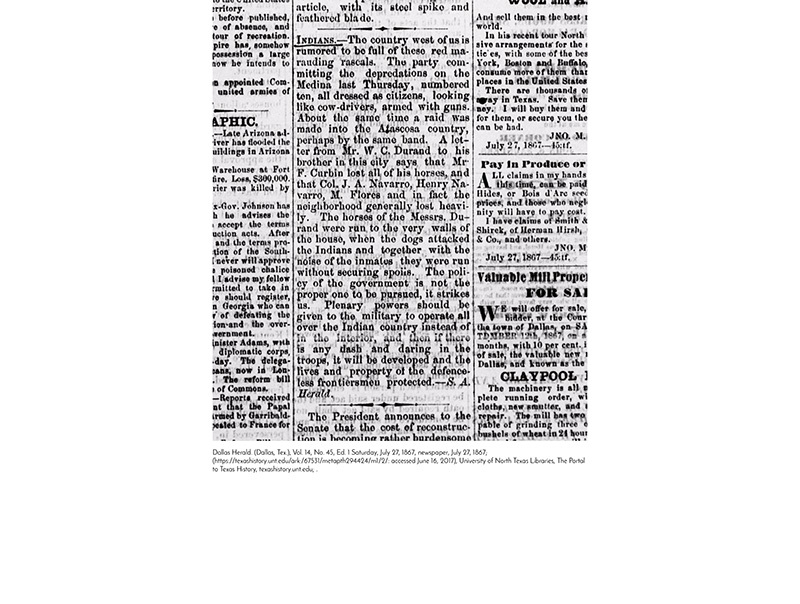 The admission of Texas to the United States would strongly impact the conflict over slavery and its expansion westward, leading to the secession of slaveholding states and formation of the Confederate States of America. 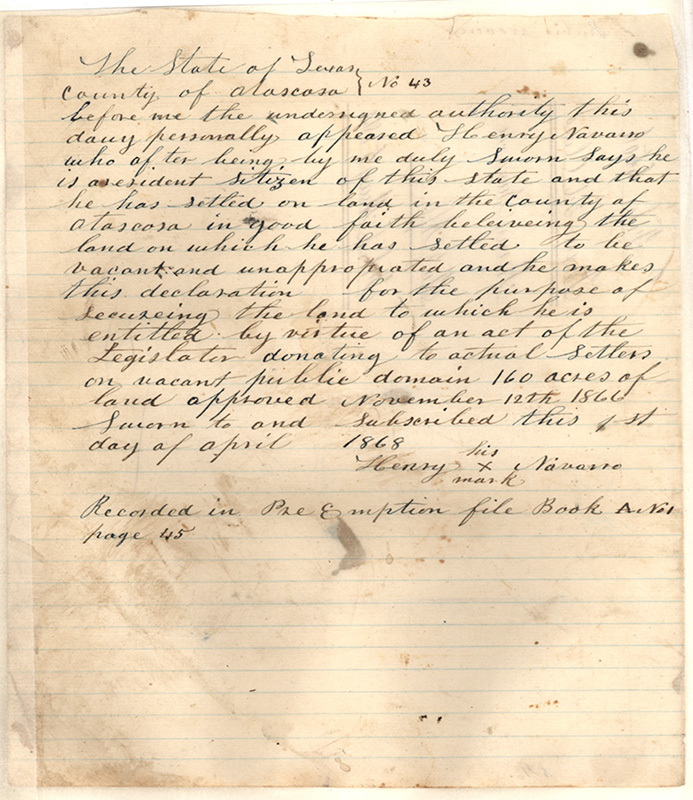 Following the implementation of the Emancipation Proclamation in Texas on June 19, 1865, it is likely that Navarro’s former slaves, now freedmen and women, stayed on the ranch to work for wages or shares of crops, meat, and other farm products. Henry Navarro did not remain a hired worker for long; records indicate he lived on the ranch with his family for only two to three years afterward. By 1868 Henry had managed to acquire four horses, 20 cows, and a considerable amount of farm equipment. 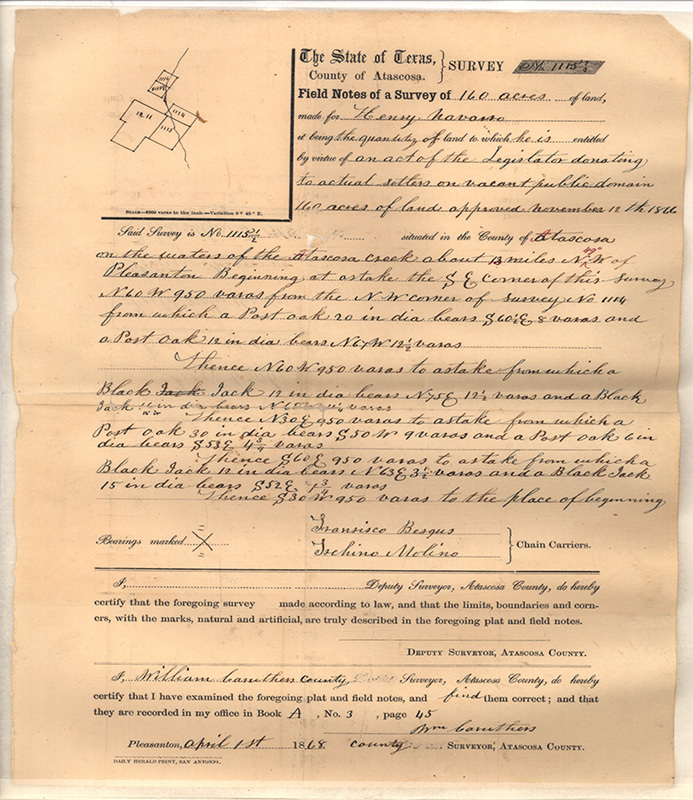 The following year Henry became a landowner by acquiring 160 acres of land in Atascosa County through a preemption grant, which allowed Henry to claim land in the public domain and gain a title. 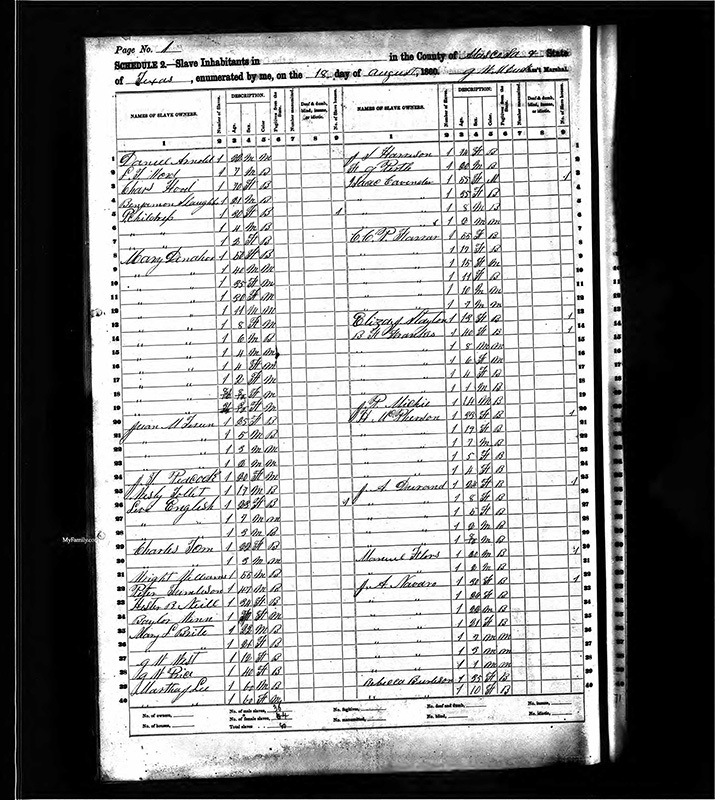 In 1870, the census listed Henry as the head of a 10-person household where he and Patsy raised five children, Henry Jr., Lucinda, Mary, Edmund, and Rose, ages 3-11. Also residing in the Navarro household were Malie Richards, a 50-year-old housekeeper from Arkansas, Susan Ford, age 18, from Arkansas, and Sarah Cox, age 13, who attended school. 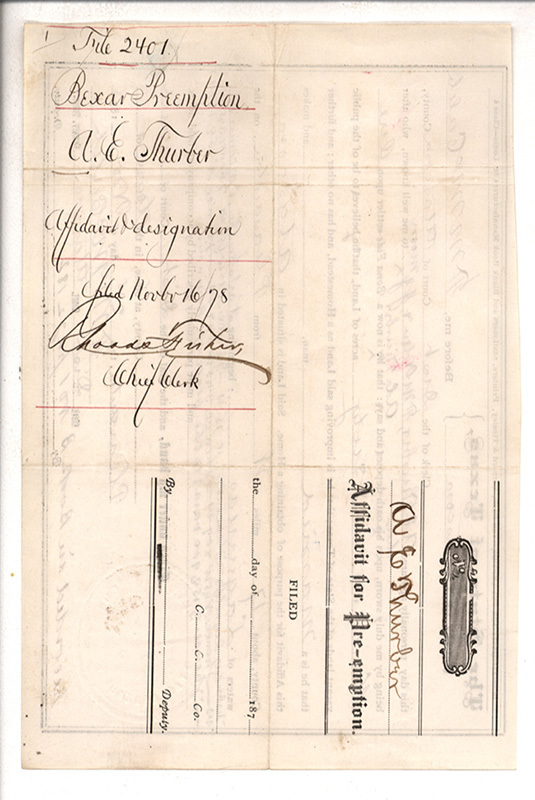 Henry and Patsy had an ongoing relationship with the Navarro family following emancipation. 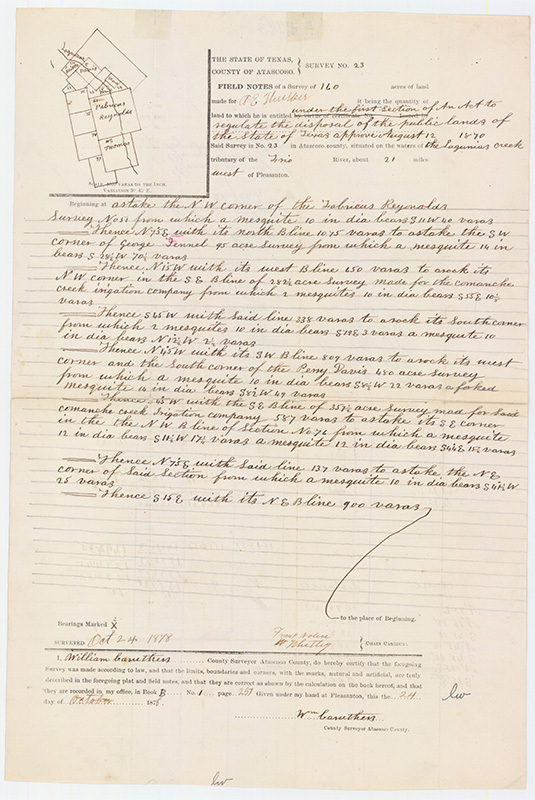 Henry and his family continued to increase their landholdings to 520 acres by 1885, 277 acres of which were sold to him by José Antonio George Navarro and Sixto Navarro. 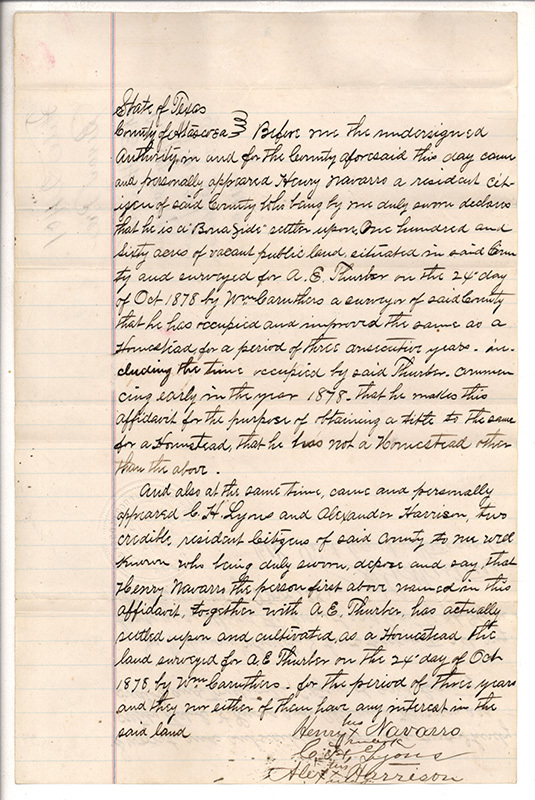 Because Henry was illiterate, Abraham G. Martin, Charles Flores, and Fernando Hernandez provided assistance with the grant certifying that Henry was a credible and trustworthy citizen of Atascosa County. 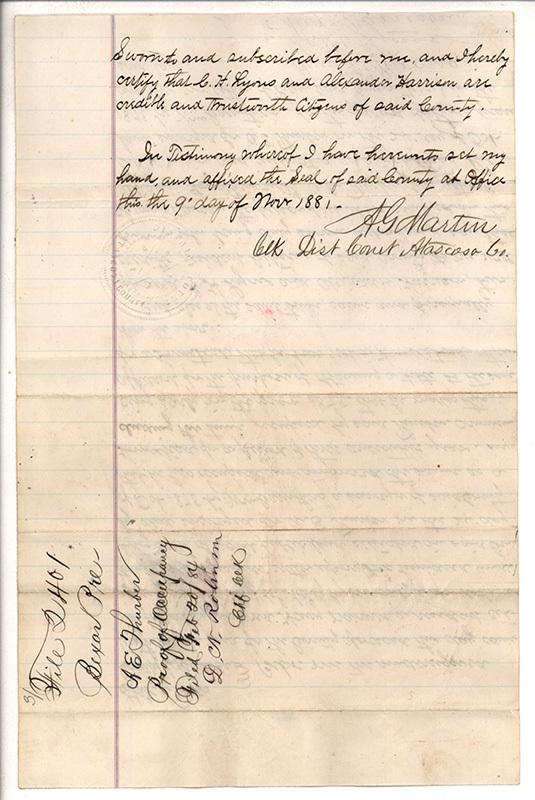 In 1884, Henry and Patsy donated an acre of land to the Methodist Episcopal Church in Atascosa County that would be used for a church, school, and cemetery known as the Brite-Navarro Cemetery. Patsy Navarro was buried in that cemetery in 1888. Henry Navarro died in San Antonio in July 1904, and is presumed to be buried in the Brite-Navarro Cemetery along with Patsy and several of their children. The article Between Black And White: Race and Status among the Tejano Elite in 19th Century San Antonio, Roque Planas, University of the Incarnate Word’s Journal of the Life and Culture of San Antonio. Free online at http://www.uiw.edu/sanantonio/blackandwhite.html. Andrew J. Torget, Seeds of Empire (Chapel Hill: University of North Carolina Press, 2015), 70-71. Raúl A. Ramos, Beyond the Alamo (Chapel Hill: University of North Carolina Press, 2008), 91-92. David McDonald, José Antonio Navarro (Denton: TSHA Press, 2010), 13-15. Torget, Seeds of Empire, 71-72. Ramos, Beyond the Alamo, 92-93. McDonald, José Antonio Navarro, 80-83. Torget, Seeds of Empire, 131-133. McDonald, José Antonio Navarro, 118. Torget, Seeds of Empire, 168-171. Torget, Seeds of Empire, 184. McDonald, José Antonio Navarro, 250-251. McDonald, José Antonio Navarro, 261. McDonald, José Antonio Navarro, 278.